Crude oil is dispensed into a bottle in this illustration photo. 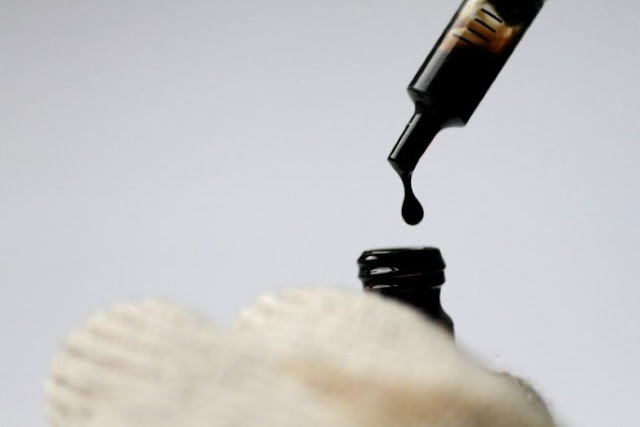 SINGAPORE - Oil prices rose on Monday over supply concerns in the Middle East and as the U.S. market showed further signs of tightening while demand in Asia keeps rising. Brent crude futures LCOc1, the international benchmark for oil prices, were at $57.90 at 0131 GMT, up 15 cents, or 0.26 percent, from their last close. U.S. West Texas Intermediate (WTI) crude futures CLc1 were at $52.13 per barrel, up 29 cents, or 0.56 percent. “Oil prices are holding comfortably above $50 as possible supply disruptions in the Kurdish region of Iraq support prices,” said William O‘Loughlin, investment analyst at Rivkin Securities. “U.S. production was also recently impacted by a hurricane for the second time in as many months and the number of U.S. drilling rigs declined for the third week in a row,” O‘Loughlin said. Much will depend on demand to guide prices, with the U.S. market tightening, flows from Iraq reduced due to fighting between government forces and Kurdish militant groups, and production still being withheld as part of a pact between the Organization of the Petroleum Exporting Countries (OPEC) and non-OPEC producers to tighten the market. China’s oil demand remains voracious, hitting a January to September average of 8.5 million barrels per day (bpd). “Three main factors are driving China’s insatiable appetite for crude: declining domestic production, increased access to imports and exports for independent refiners, and building up the strategic petroleum reserve,” Britain’s Barclays bank said. India’s fuel thirst is also increasing. India imported a record 4.83 million barrels per day (bpd) of oil in September as several refiners resumed operations after extensive maintenance to meet rising local fuel demand. The country’s September imports stood 4.2 percent above this time last year and about 19 percent more than in August, ship-tracking data from industry sources and Thomson Reuters Analytics showed. “We will see oil prices higher by 10 percent by the end of the year. We have started to accumulate strong positions within the oil sector,” said Shane Chanel, equities and derivatives adviser at ASR Wealth Advisers. Oil prices rose on Monday over supply concerns in the Middle East and as the U.S. market showed further signs of tightening while demand in Asia keeps rising. Brent crude futures LCOc1, the international benchmark for oil prices, were at $57.90 at 0131 GMT, up 15 cents, or 0.26 percent, from their last close.